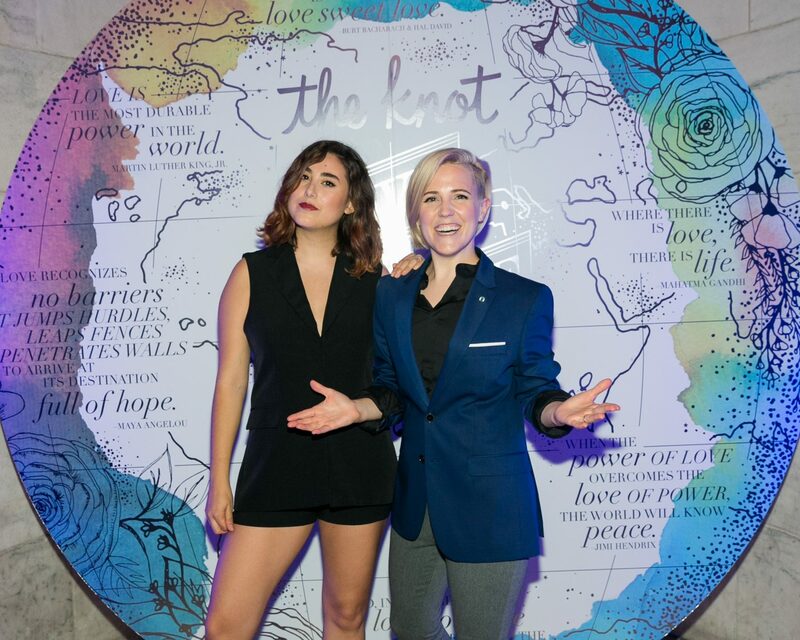 When YouTube star Hannah Hart met Ella Mielniczenko, it wasn’t exactly love at first sight, and it wasn’t exactly love at first text, either. In fact, when the popular vlogger behind My Drunk Kitchen made her first move on Mielniczenko, that message was received with mixed emotions. “Her exact words, because our friend Ashley still has all the texts, was: ‘She’s low-key weird,’” Hart, 31, recalls to The Knot. To be fair, however, she had sent Mielniczenko a Bitmoji of herself saying “What you thinkin’ about?” as a way to kick off their conversation. “I was freaking out. I was like, ‘What is this?’” Mielniczenko, 28, says with a laugh. The previous day, their mutual friend had texted Hart, asking if she would consider asking Mielniczenko out on a date. The next day, Hart decided she would. And thus began the pair’s love story—even though they had actually first met months before then, when Hart happened to be in a video that Mielniczenko was producing. They decided that they would aim to get engaged in 2018, and then the conversation turned to who would be the one to propose. Among their non-negotiables? Good food, good music, and an open bar, with hopes of holding the ceremony itself somewhere on cliffs facing the ocean, the Redwood forest behind them. Even if the exact details don’t work out, however, the couple aren’t too worried. 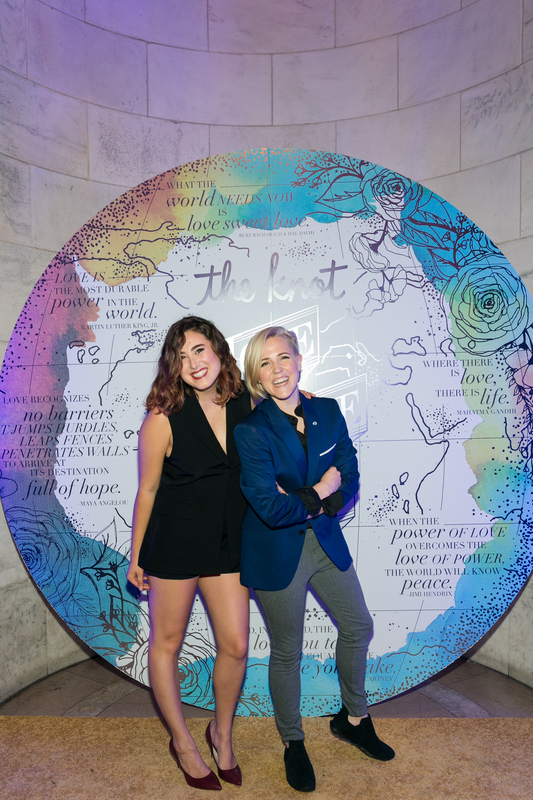 Be the first to comment on "Exclusive: My Drunk Kitchen’s Hannah Hart Adorably Recalls Her Proposal to Fiancée Ella Mielniczenko"